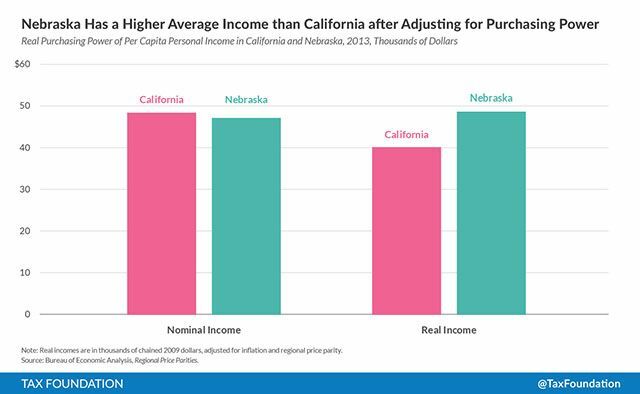 It’s amazing how the cost of living differs from state to state. The Tax Foundation examined the recently released report from the Bureau of Economic Analysis measuring price differences across states and key cities. 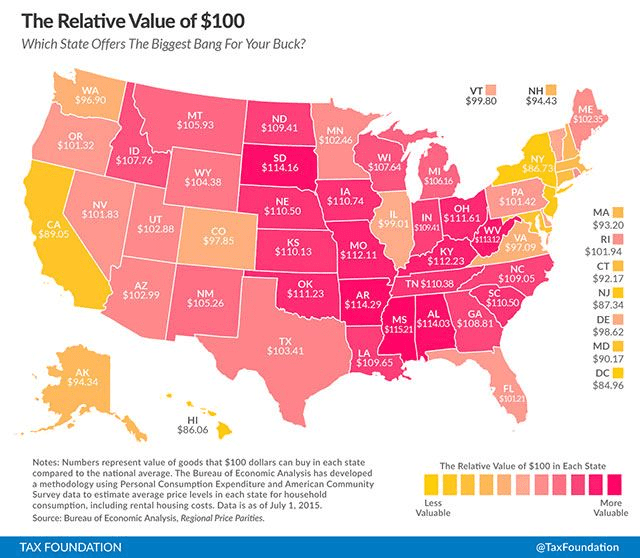 Using the data, The Tax Foundation was able to show what the real value of $100 is across each state. The results are in… your $100 will go much further in Arkansas, Mississippi, and South Dakota than if you live in California, Maryland, or New York. It’s not surprising the most expensive areas were Hawaii and Washington D.C. People who live in D.C. would only get $84.96 worth of goods for $100, compare to the national average. So the big question is where should you live? According to the report, if you want to have your money go the furthest, then you want to live in a place where the cost of living is low and the average salaries are high. Say hello to Nebraska and the rest of the Midwest states. BTW… Nebraska’s average low in January is 14 degrees. Pack your ear muffs!